CEC conducts wiring classes within the local school systems where students gain knowledge about basic wiring and environmental awareness by participating in hands-on activities. 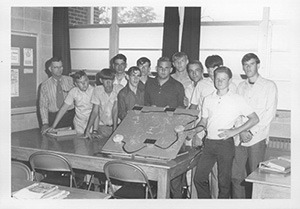 In the 1950s, CEC began teaching basic wiring classes as a way to show high school students how electricity could revolutionize farming. Things have changed over the years and so has the purpose of this program. Today, the wiring program introduces students to basic electrical wiring processes and promotes the proper use of wiring tools and electrical safety. After proper wiring of the board is demonstrated by the CEC instructor, students are divided into small teams with one board per team to complete. Participants work with tools and a wiring demonstration board. This board is designed to simulate a 120-volt circuit in the home. The circuit controls a single pole switch with a light fixture and two base plugs. 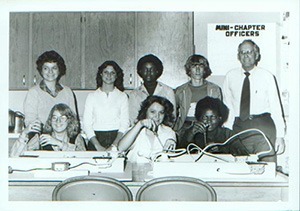 Thousands of students have participated in the wiring program since its implementation in the 1950s. According to teachers, the program is well received by students. For many, it is their first experience with how electricity actually works. If you are a teacher who would like to schedule a wiring class for your high school students, please contact Chad Wilkerson at 334-427-3511 or cwilkerson@covington.coop.